During her senior year in high school, Alicia Esquivel toured the Loyola Marymount University campus just three days before the deadline to apply. She had been considering a California public university to pursue her dream of becoming a civil engineer but decided to tour LMU. Now she looks back with gratitude that she took that detour. Esquivel, who will be a senior, has relished her first three years as a civil engineering major in the Frank R. Seaver College of Science and Engineering. 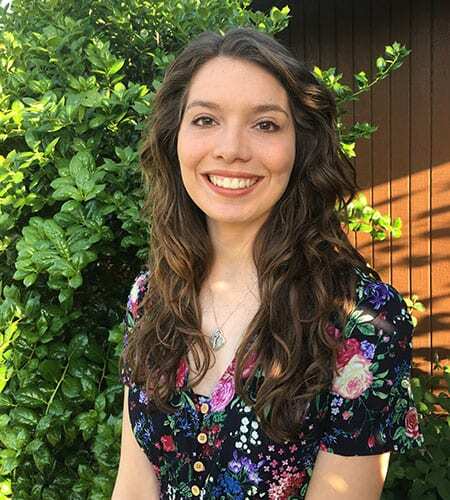 She recently earned a $2,000 scholarship from the Structural Engineers Association of Southern California (SEAOSC) for her outstanding academic performance and extracurricular activities. The scholarship is icing on the cake, she says. Esquivel, who grew up in Fontana, Calif., was persuaded to become a civil engineer by her father, who works in construction. During her senior-year tour of LMU, she was struck by the beauty of the campus and sense of collegiality among students and faculty. Likewise, faculty members are accessible and eager to support the student’s goals, whatever they may be, she says. They’re also nurturing. Mike Manoogian, professor of civil engineering, approached Esquivel last year and urged her to apply for the SEAOSC scholarship. Esquivel’s mentor Jeremy Pal, professor of civil engineering, nominated her as a candidate. “It was an honor to be chosen, and it was all because of my professors,” she says. Esquivel plans to pursue a master’s degree after graduating college. But, before that, there’s much to do. She is co-vice president of domestic affairs for LMU’s chapter of Engineers Without Borders. The group has been working in Tijuana to design drainage solutions for a neighborhood that tends to flood after heavy rains. She’s also co-leading a project with her classmates that aims to use subsurface irrigation and water filtered from washing machines to irrigate vegetation at the Holy Spirit Retreat Center in Encino. Pal is Esquivel’s research adviser on the project.